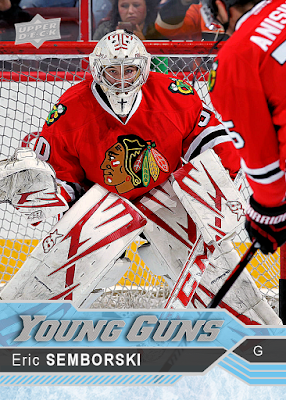 Corey Crawford's appendix attempted a revolution late Saturday morning. Appendicitis is no joke and can cause some serious damage if not treated immediately. As such, the Blackhawks' All-Star goalie was immediately sent to a local, Philadelphia-area hospital in order to have the offending organ removed with haste. However, this left the mighty Blackhawks with only one net-minder and just two hours before puck drop at the Wells Fargo Center. Time to scramble! There wasn't enough time to have Rockford's goalie, Lars Johannson, flown in before game time, as the AHL affiliate was playing far away in Grand Rapids, MI. This is where one of the NHL's most bizarre, arcane and, yet, fascinating quirks, found in rule 5.3, came into play. "In regular League and Playoff games, if both listed goalkeepers are incapacitated, that team shall be entitled to dress and play any available goalkeeper who is eligible." ...and they do, quite literally, mean "any available." When you're down a goaltender with almost no time to spare, the options are extremely limited. I mean, goalie is quite the specialized position - you can't just throw any skater in there. 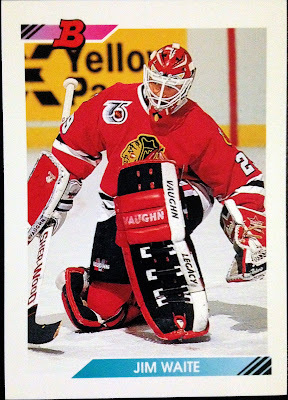 As such, the Hawks' 47 year old goalie coach, Jimmy Waite, very nearly made his return to the NHL. However, as a former professional, his coaching salary would have counted against the cap and there just wasn't enough space. Eric Semborski woke up that morning to go to his day job, coaching and helping to host Philly-area youth league hockey contests as a Flyers practice rink employee. Instead, after a quick phone call, he found himself blocking warm up shots from Patrick Kane. The amateur hockey player had most recently played competitively in 2013, with the Temple University club team. But, a goalie he was and someone with the Flyers remembered that fact. There wasn't even enough time to get a jersey made up, so a makeshift nameplate was quickly affixed on a Corey Crawford sweater. Obviously, Eric was only brought in for an absolute emergency - the amateur looked excusably rusty during warm-ups and second stringer Scott Darling got the starting assignment in the eventual 3-1 loss. However, Coach Quenneville did mention that, had the Flyers scored an empty-netter in the waning seconds of the game (after Darling had been pulled), he was going to put Semborski in. That sure would have been interesting. Using the 2016 edition of Upper Deck's ever-popular Young Guns cards as a template, here's the man of the day, setting up to block a shot from Artem Anisimov during warm ups. It's a pretty good bet that the former Temple Owl won't be appearing in any hockey card products; but, I thought he deserved a little something for his troubles. Plus, I loved this image. I'm pretty happy with how it turned out - what say you? 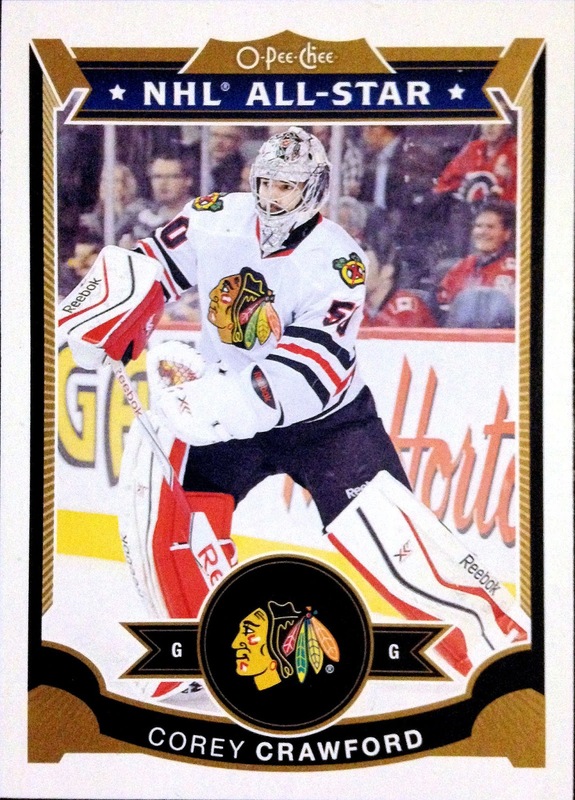 Anywho, yesterday, the Blackhawks called Johansson up from Rockford to take the role of backup goalie and Semborski returned to his day job. He didn't make a dime for his adventure, but he did get to keep the jersey and he'll always be able to say that he got to "play" in the NHL. I'm sure it was the experience of a lifetime for the 23 year old. Thanks to rule 5.3, hockey is pretty much the only sport where you might realistically be able to see someone come out of the stands and onto the roster. It doesn't happen very often, but it sure definitely makes for interesting theater when an average Joe is suddenly thrust onto the biggest stage in the world. Meanwhile, get better soon "Crow" - here's hoping for a speedy recovery... and not just because the Blackhawks are scrambling for goalies. Also, my apologies to Eric Semborski's future grandkids, who will inevitably grow tired of hearing this story over and over and over and over again. I heard about this over the weekend and thought it was a great story, nice job on the custom! That's pretty darn cool. Too bad he didn't get onto the ice in an official game. I read the story of Eric Semborski on NHL.com, and it was a fascinating read - as these emergency goalie situations always are. Good on coach Q for actually planning to play him, even if it didn't happen. The Hawks really need to do something about that cap crunch if they couldn't even afford to dress Jimmy Waite. I had not heard that part, btw, so thanks for expanding on the story. Also, that is an awesome YG custom of Eric - you should find a way to get one to him. I bet he'd sign it for you if you were interested! Just read the story this morning. I love when these type of things happen. One of these years I want to see the person actually play.